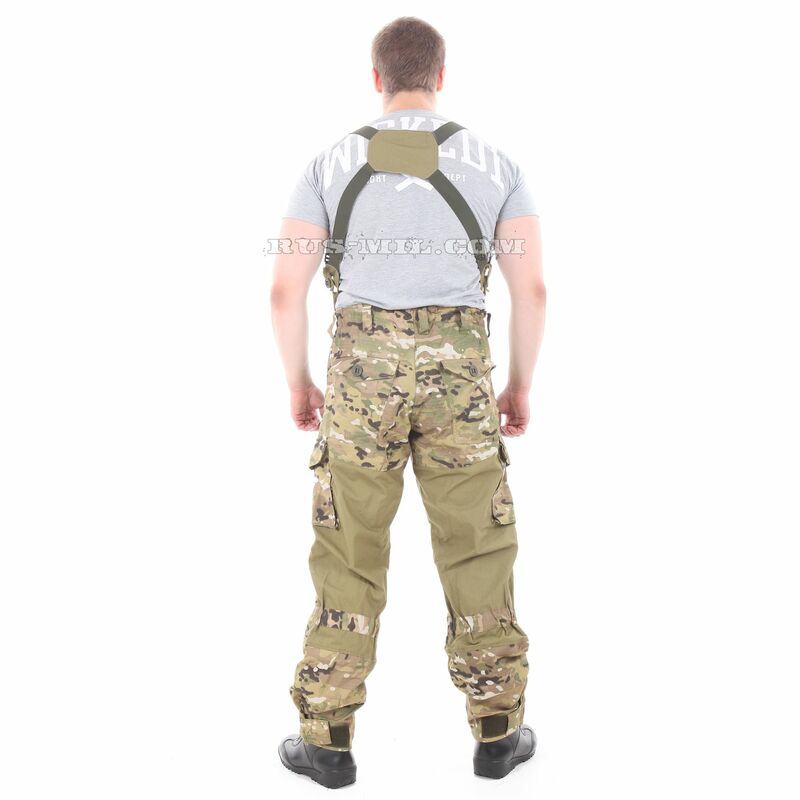 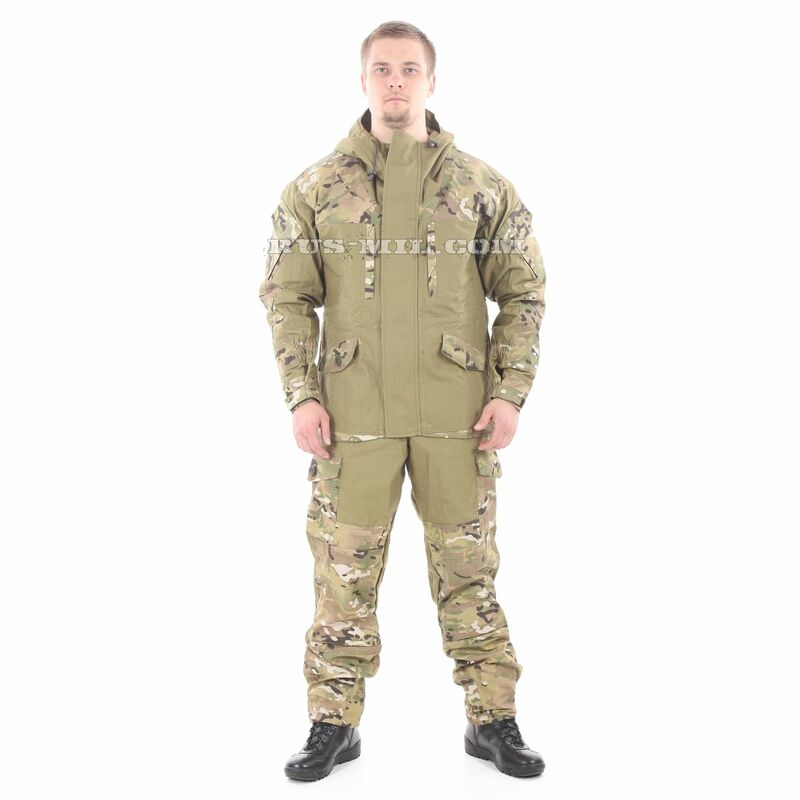 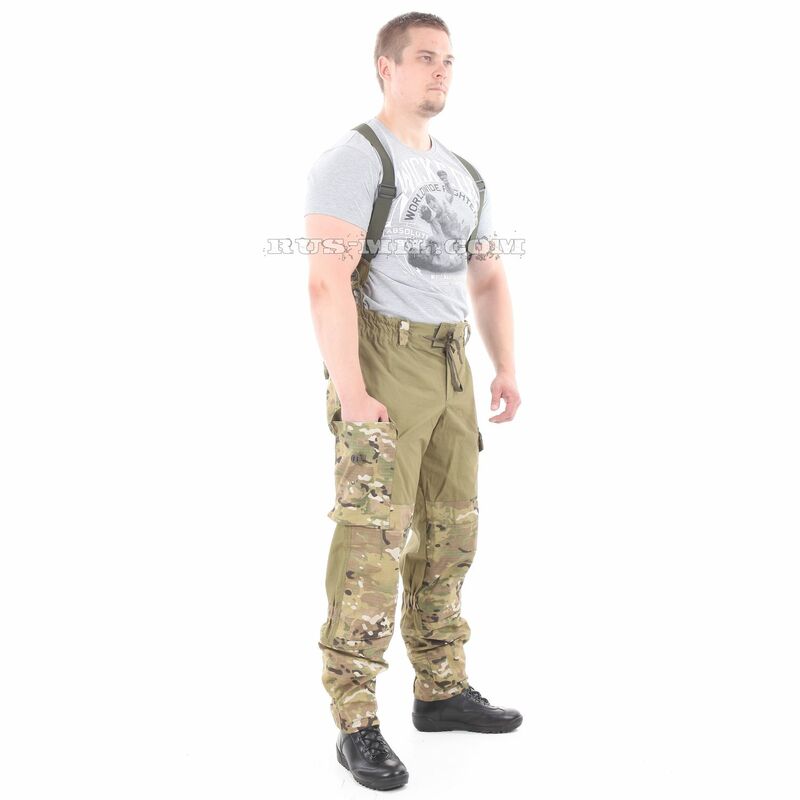 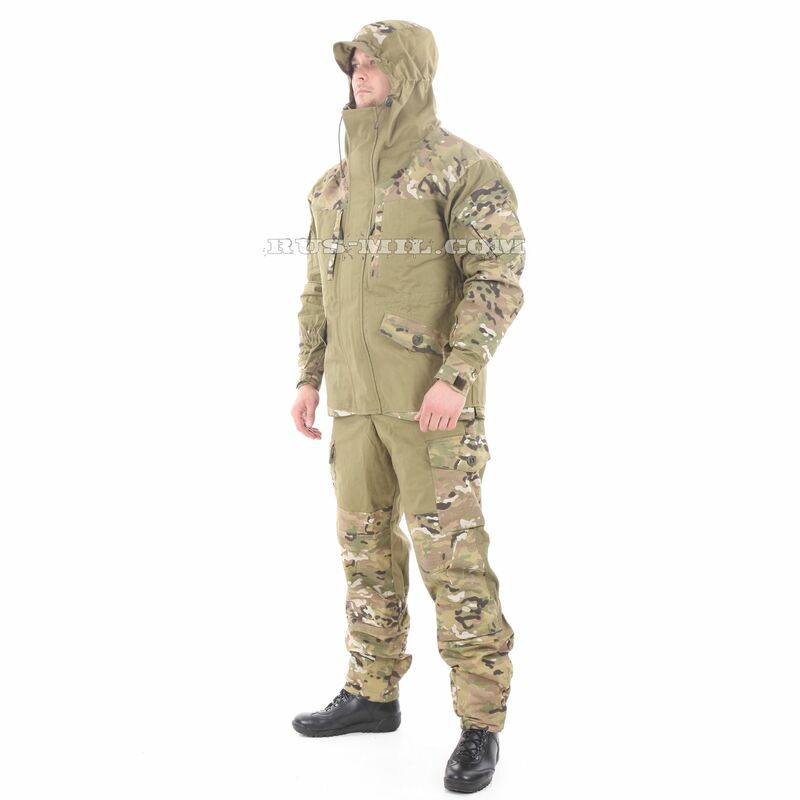 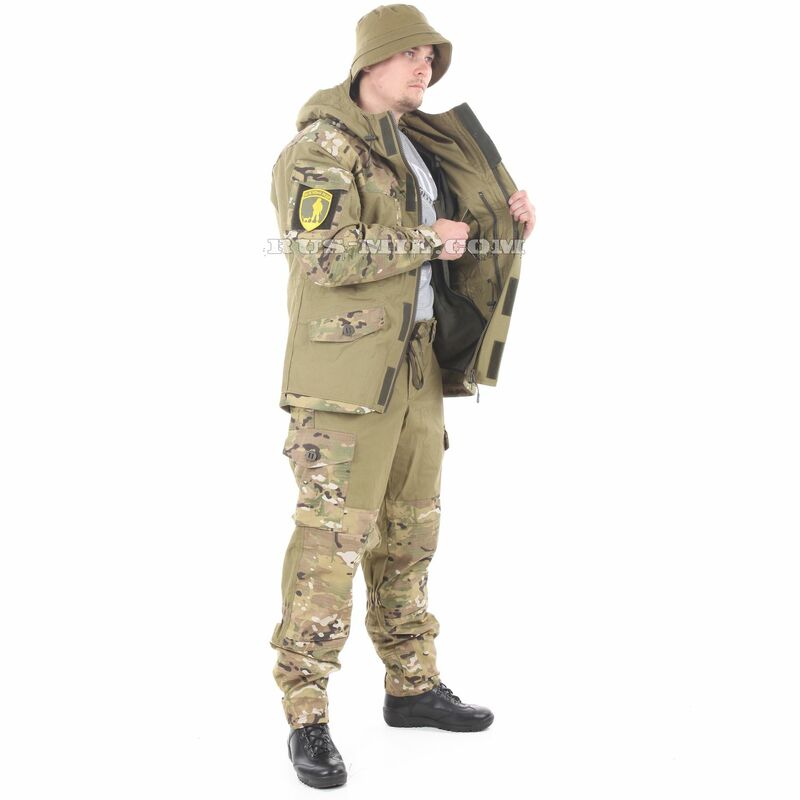 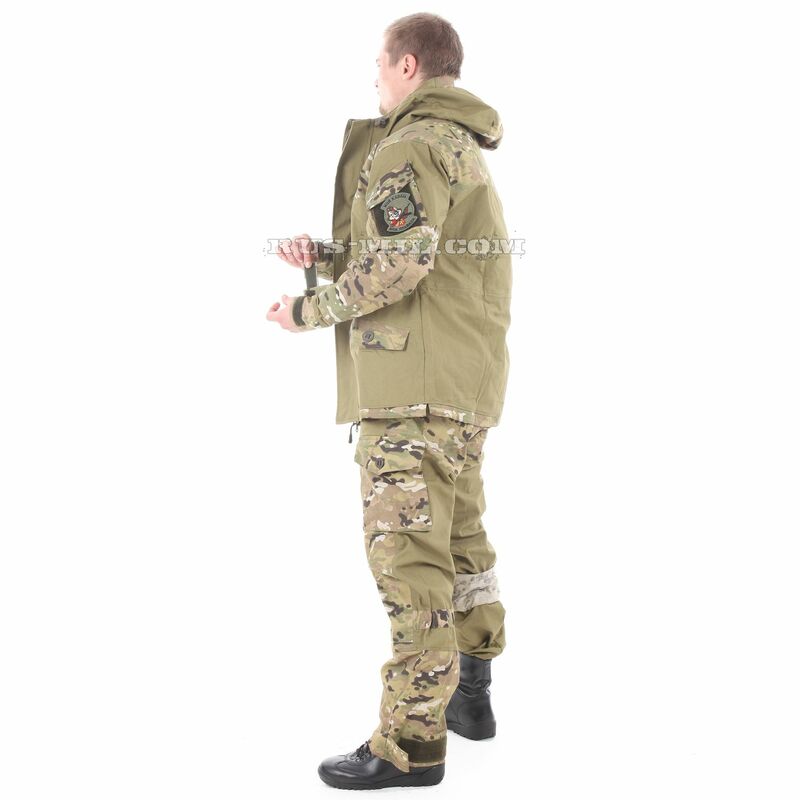 The fabric (tent cloth) used for the Gorka-5 suit in khaki fleece removable lining, multicam pads set is approved by the Russian Ministry of Defence. 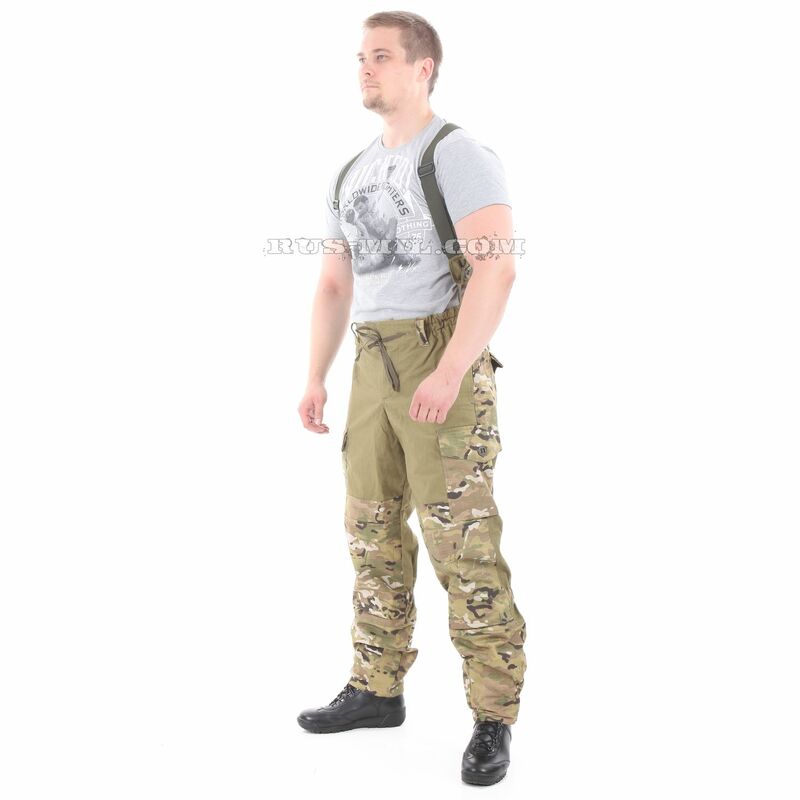 This is 100% cotton that features a special type of weaving made of twisted yarn. 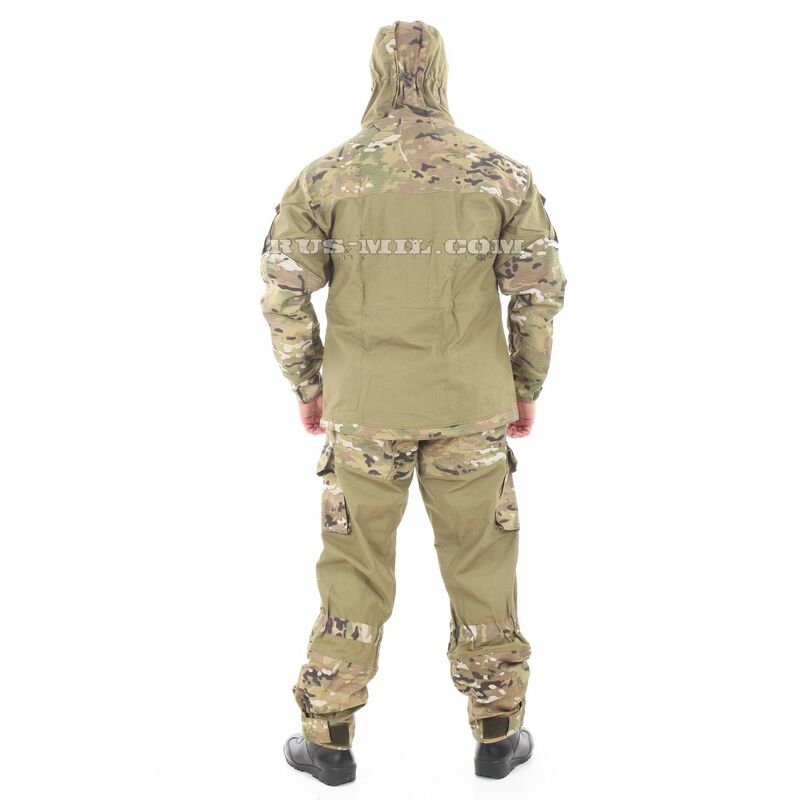 Due to this structure the fabric has wind/waterproof properties preserved during the whole service life.